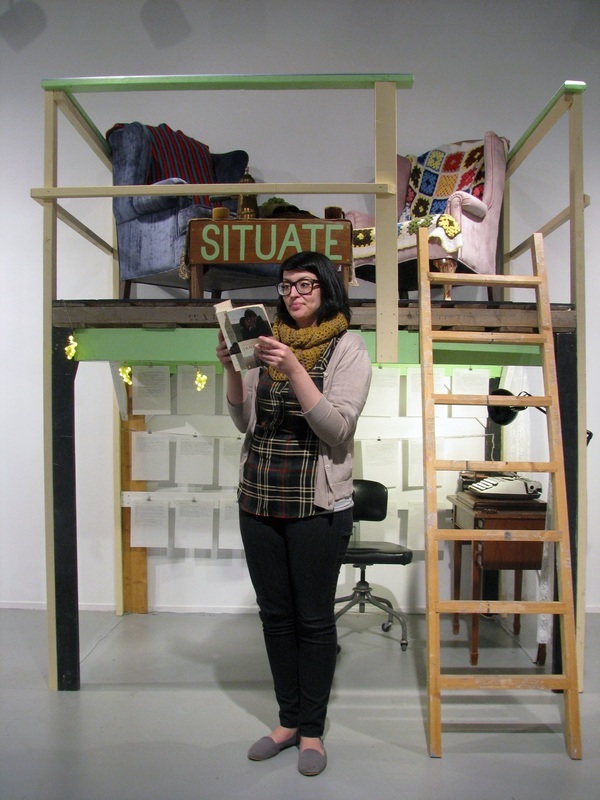 5th Parallel Gallery, University of Regina, SK. 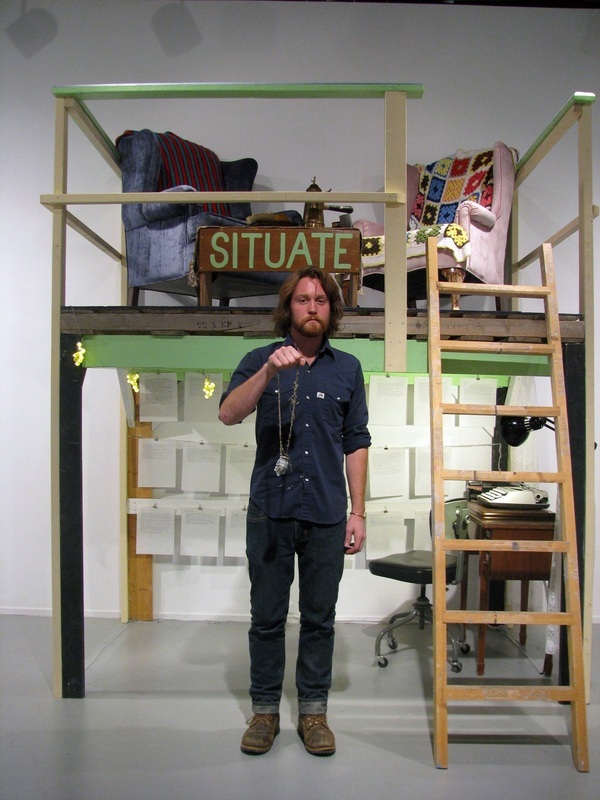 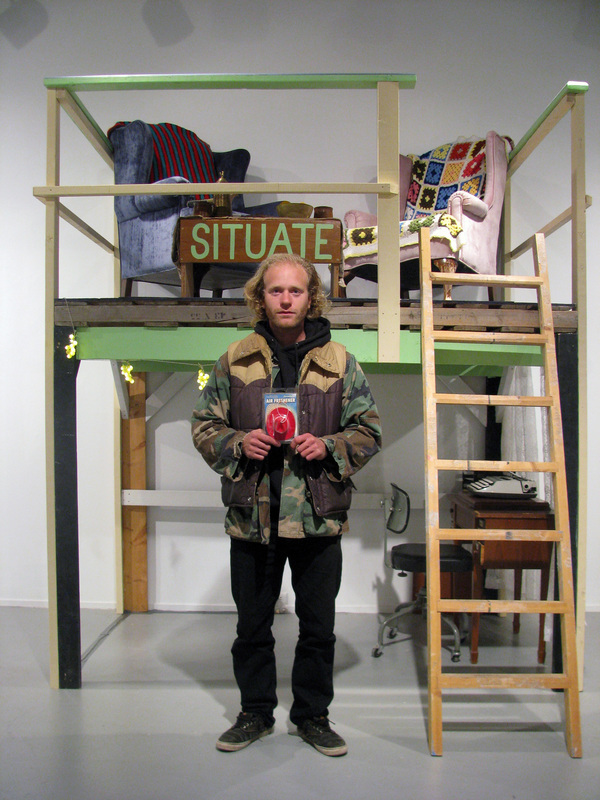 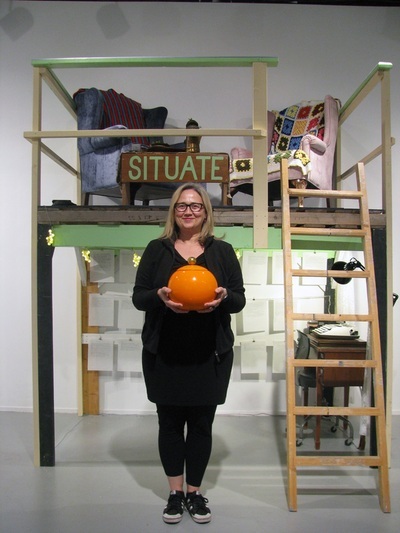 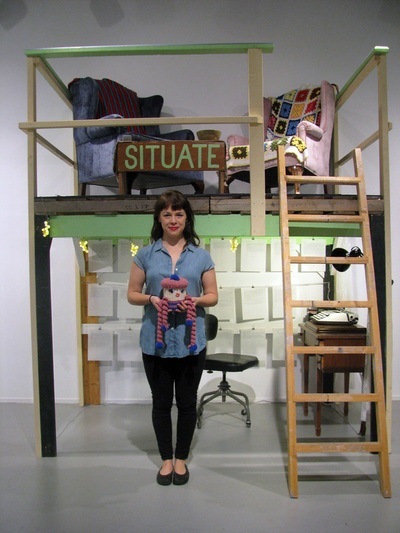 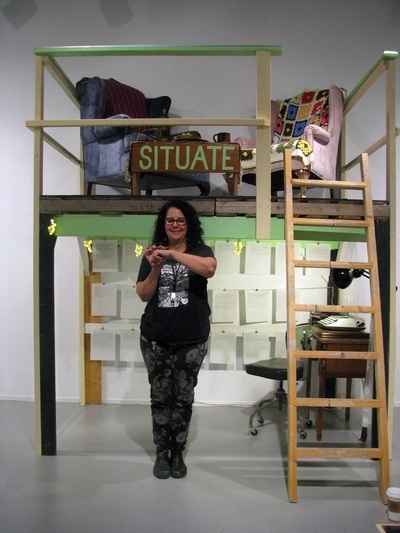 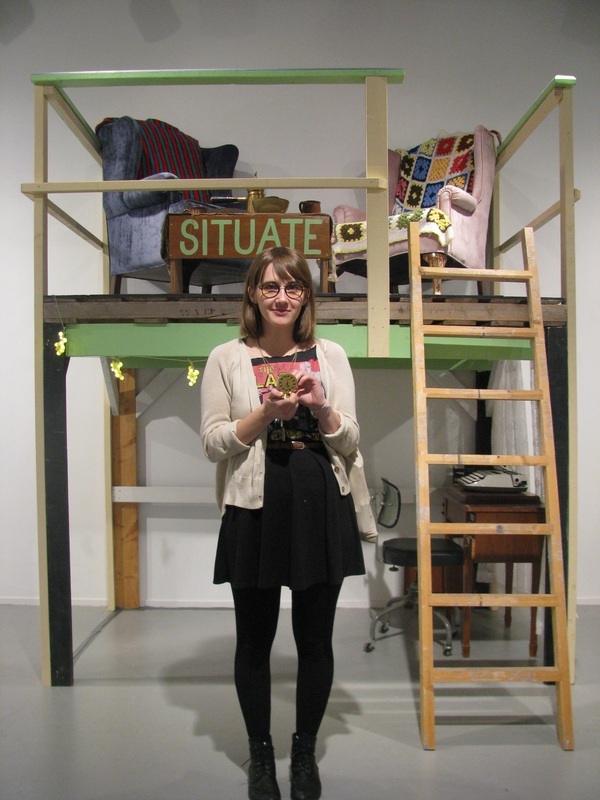 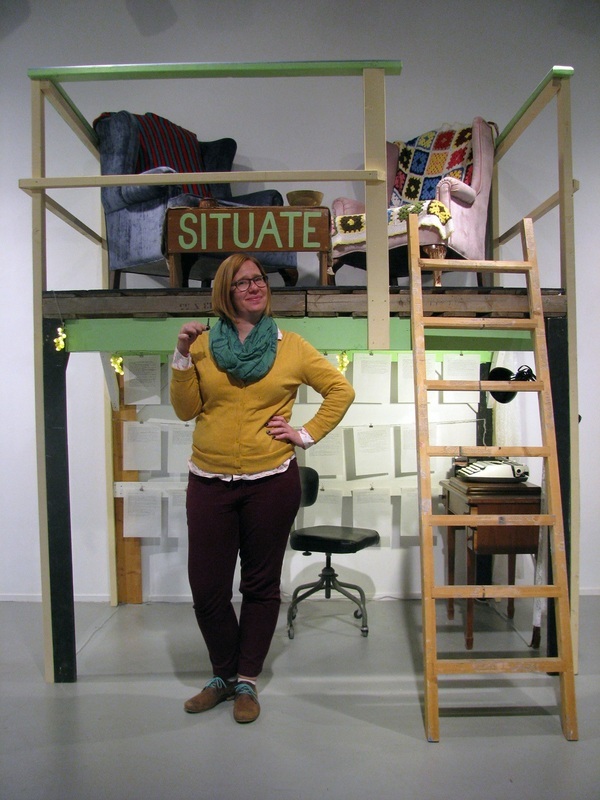 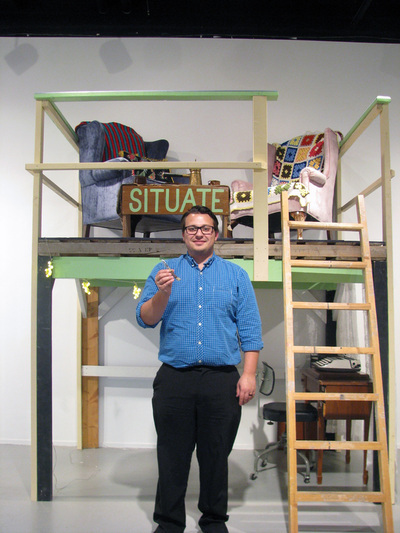 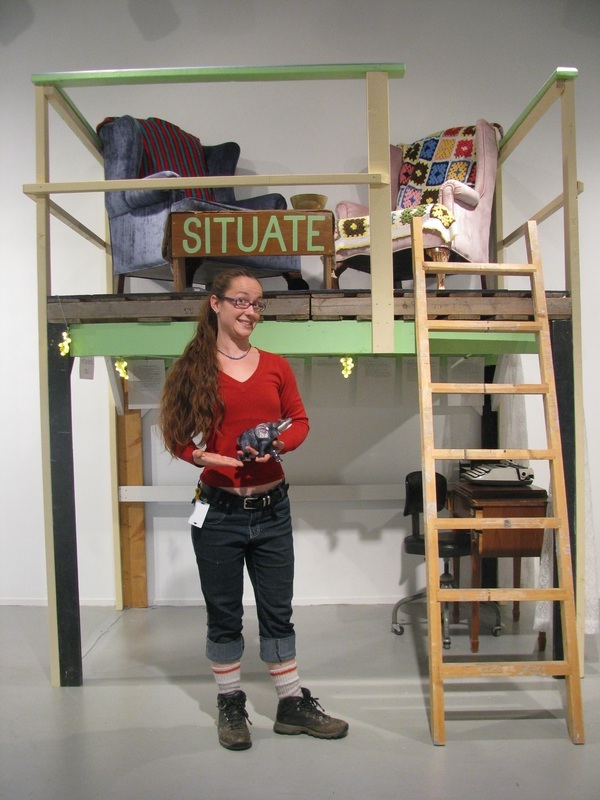 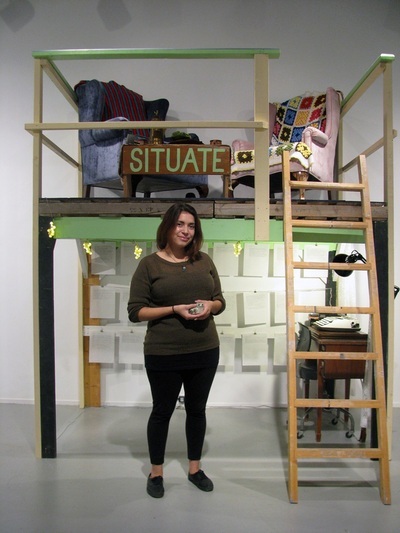 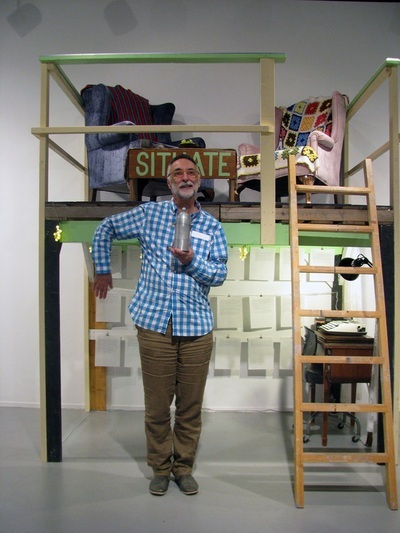 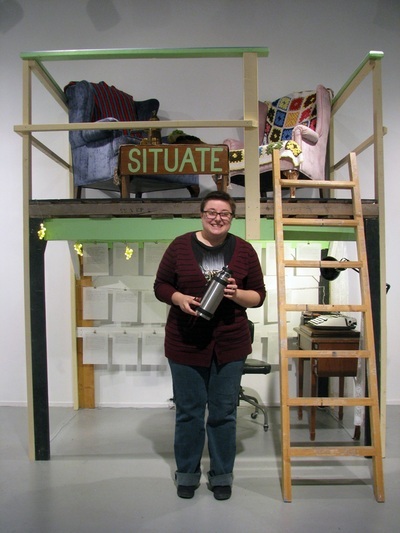 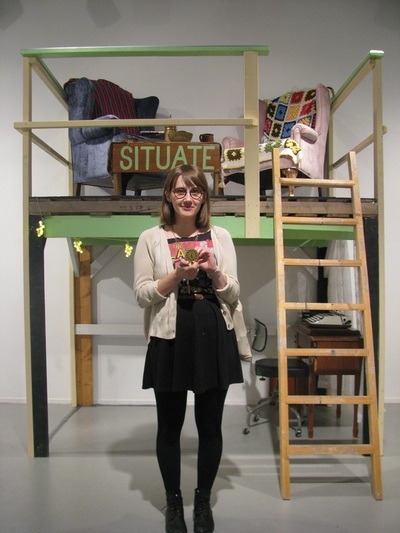 Situate was a participatory project about people place and things, and the culmination of a two year master of fine arts degree in Intermedia/Visual arts. 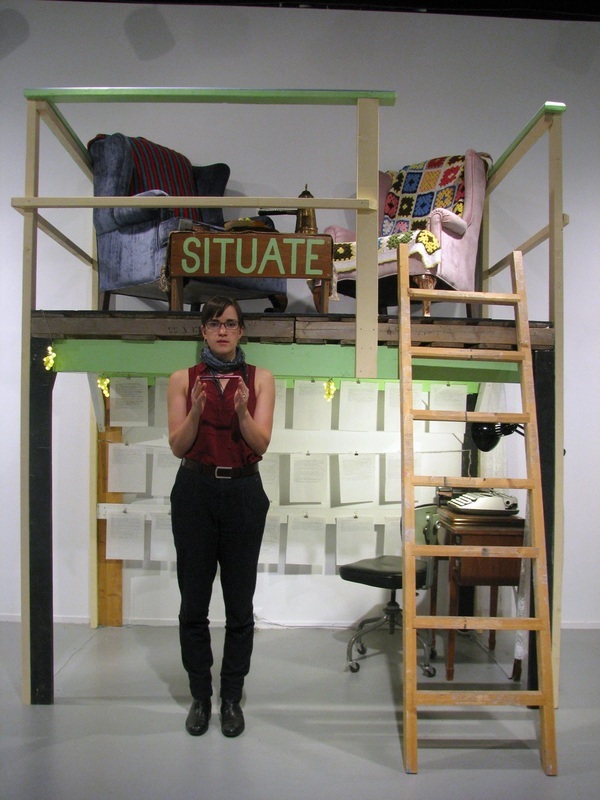 Loft - Participatory conversation structure. 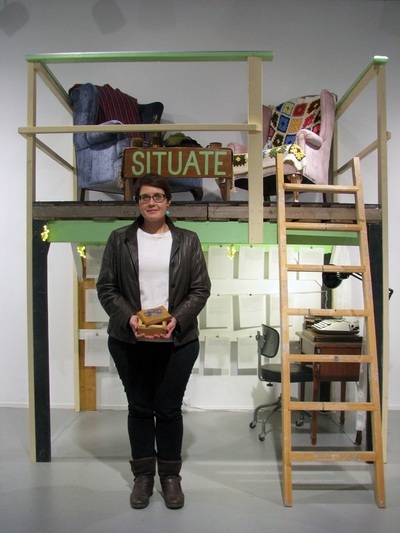 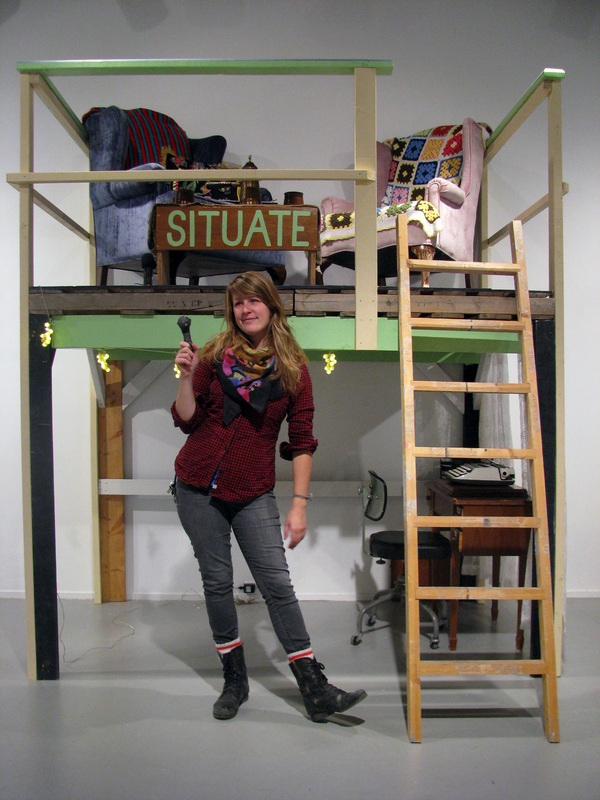 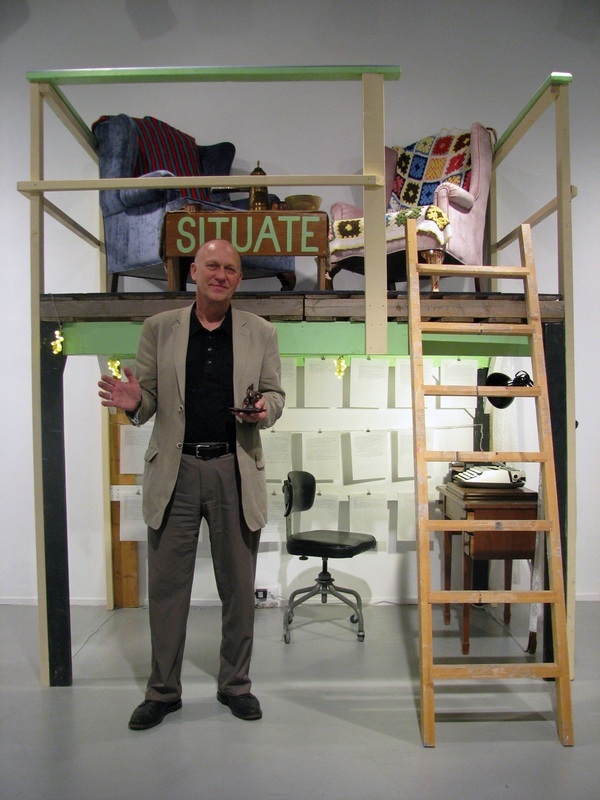 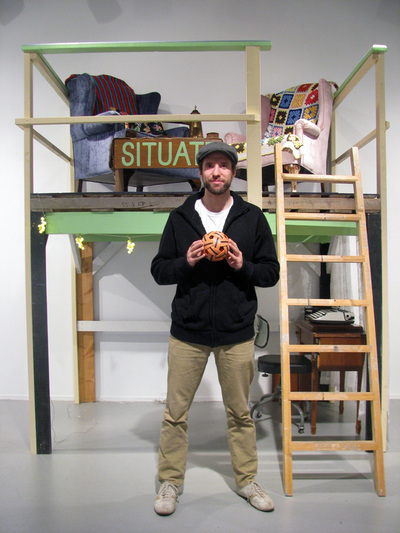 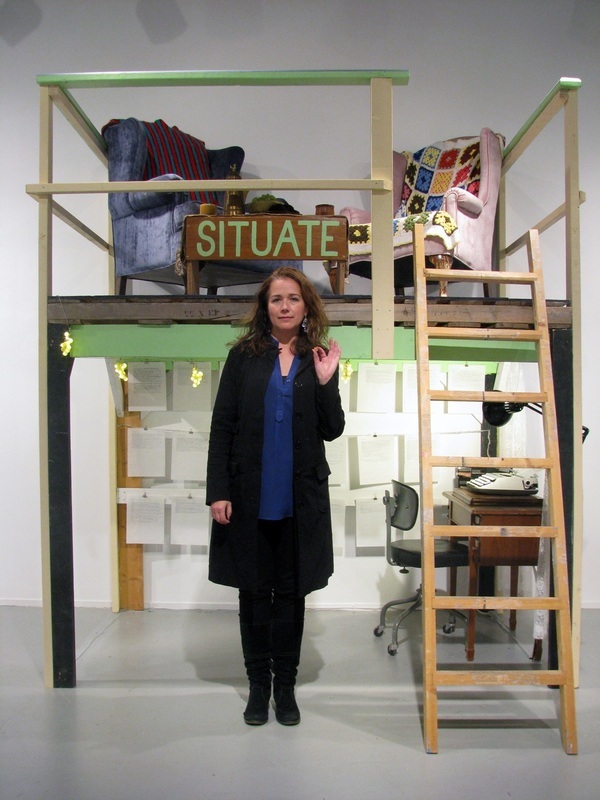 A raised loft, was installed at the back of the 5th Parallel gallery, at the University of Regina. 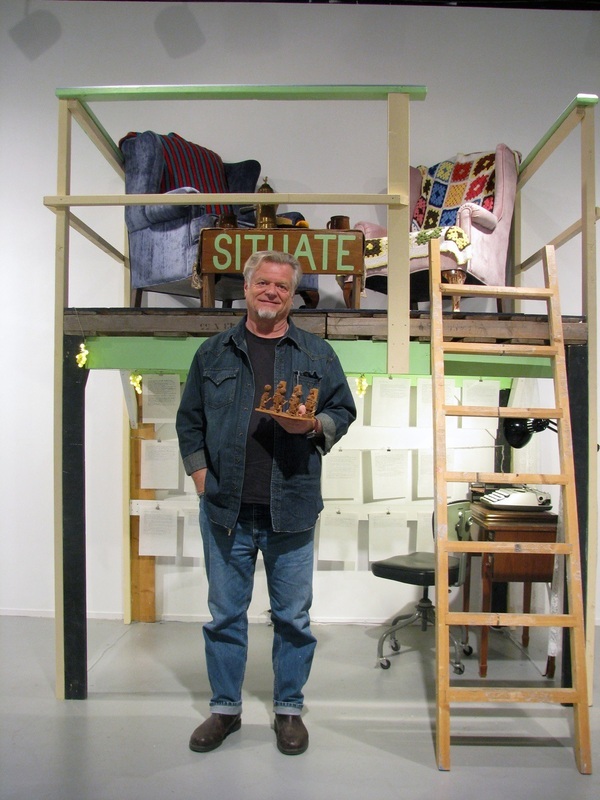 Over the course of the project, I hosted a series of 24 one-on-one conversations in the loft, with a group of prearranged participants. Participants were asked to bring in an object that they lived in close proximity to, and felt a certain sense of personal connection with. 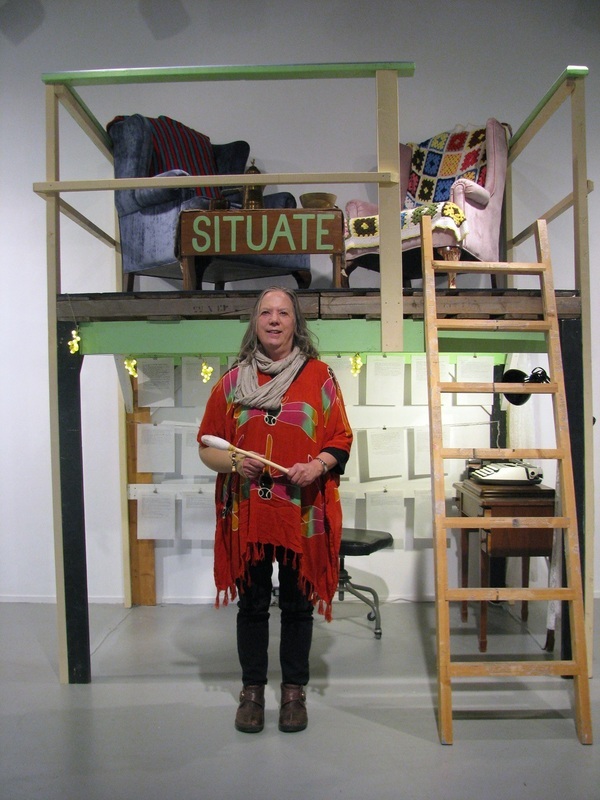 ﻿﻿﻿﻿﻿In a workshop within the gallery, I created personalized, textile based sculptural objects, in response to each participant/object/conversation. The completed textile objects were displayed in the gallery for the duration of the exhibition, and then returned, along with the original objects, to each participant. 24 volunteer participants who contributed personal objects and stories to the project. A half an hour conversation with each participant occurred in the loft space (shown above) over the course of the exhibition. A series of 24 hand made textile objects, made in response to conversations around personal items, brought in by participants, over the course of the exhibition. A series of suitcase-based installations displayed a collection of objects and ephemera, gathered over the course of my recent history, traveling and in various places around the continent. 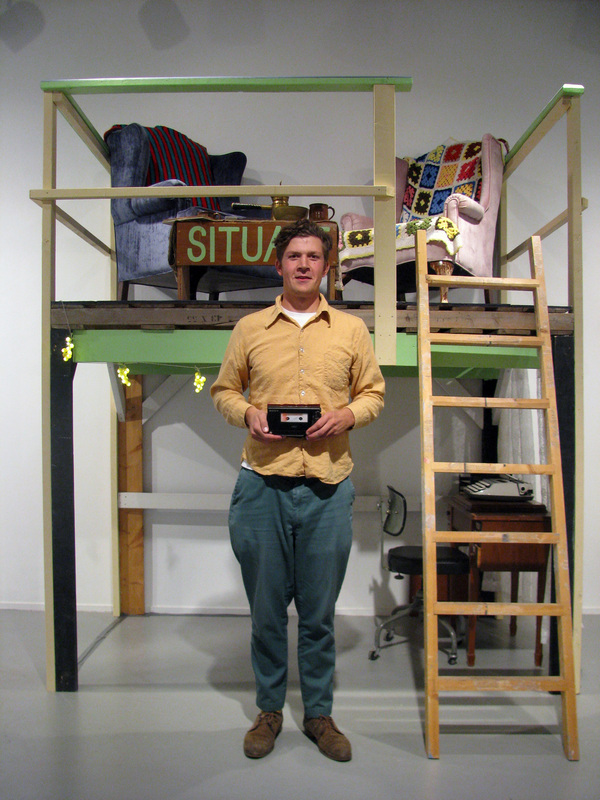 Screens were embedded in the cases displaying a series of super 8 film loops, which were digitally transferred to video. 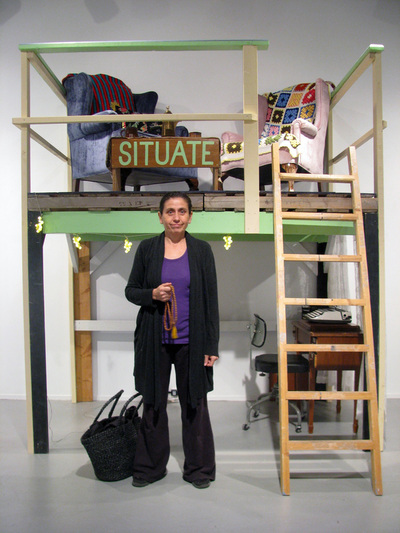 Documentation of 24 of the items in the cases, through drawing, writing and film, created a visual archive, on the surrounding gallery walls.